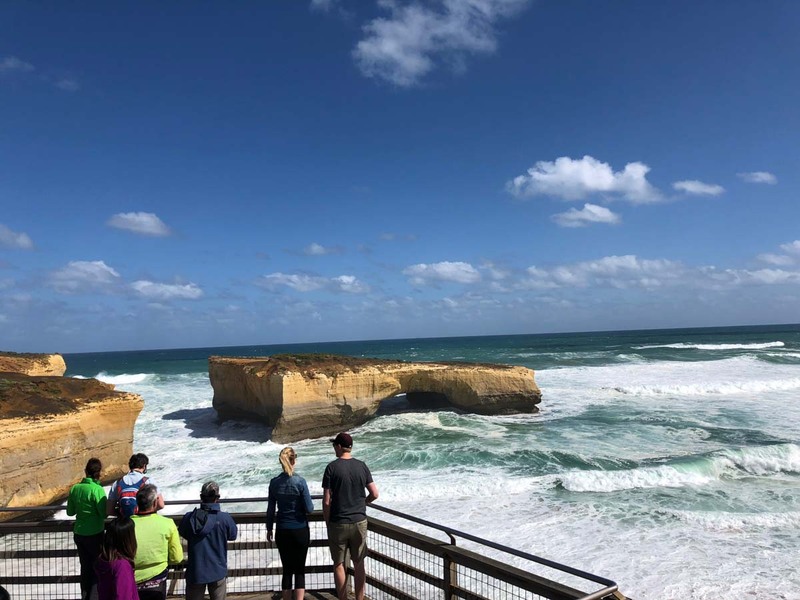 Indulge in Melbourne’s array of cuisines, mingle with the adorable animals of Philip Island and hike up the impressive mountains and waterfalls at Grampians all in this 8 day road trip from Melbourne, all while experiencing one of the most impressive coastal drives in the world. Visiting Melbourne? Book your travel essentials on Klook for S$20 off your travel essentials! More details at the end. 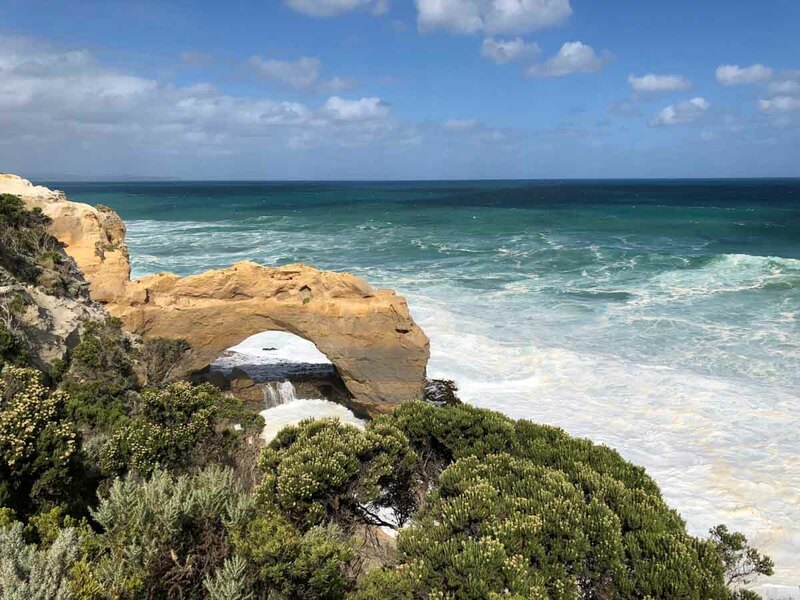 In Australia for the annual MFWF (Melbourne Food & Wine Festival) this time, we hopped on the opportunity to also explore the gorgeous terrains Victoria had to offer. 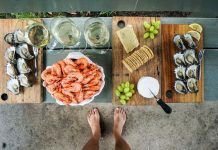 We spent the first three days based in Melbourne to attend the World’s Longest Lunch, did day trips to Yarra Valley and Philip Island before starting our road trip out south towards Cape Otway, The Twelve Apostles, and the Grampians. 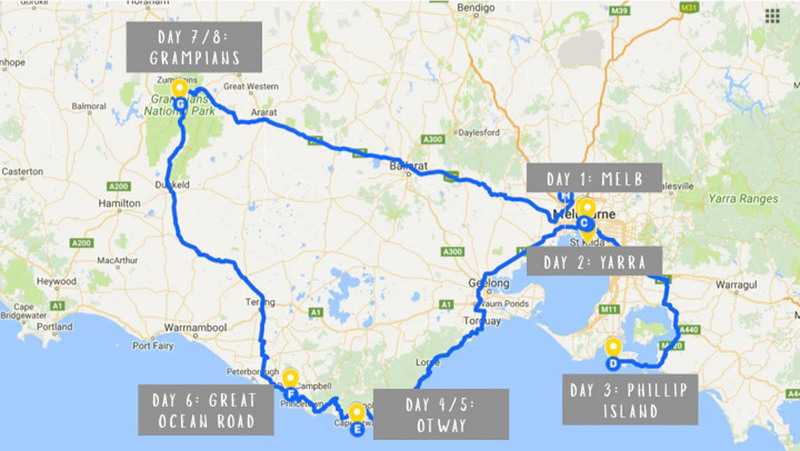 If you’re planning to explore Victoria on a road trip, here’s our 8-day self drive itinerary for an epic road trip from Melbourne! Car Rental: We got a gorgeous red Mitsubishi ASX from Budget at ~AU$118/day. This includes all the add-ons for Excess Reduction (AU$25/day), daily Vehicle Registration Fee (AU$6.50/day) and GPS (AU$9.95/day). On hindsight, the GPS was useless as we used Google Maps most of the time and when Google Maps failed, the GPS couldn’t detect where we were either. Note that there’s a 6% surcharge for returning the car at the airport. SIM Card: There’s an Optus booth right outside the airport arrival gates with plans that usually start from AU$30 with a minimum of 3GB and unlimited local calls. Sometimes there will be special deals like AU$10 for 15GB but expires in 7 days which is what we got for this trip. Airport to Melbourne CBD: If you’re not taking a taxi (AU$55-65), the next best option is probably the Con-x-ion airport shuttle serivce (~S$25/pax via Klook)*. This service picks you up from the airport along with up to 10 passengers (including yourself) and sends you right to your doorstep. For a cheaper alternative, there’s also the Skybus (AU$19.80) which will drop you off at Southern Cross Station. *Prices on Klook might fluctuate slightly depending on currency. Getting around Melbourne: You can purchase a rechargeable myki card for $6 (excluding credits) which covers all the trains, buses and trams in Victoria. However, if you’re staying within the CBD area, there’s no need for one to travel on trams within the Free Tram Zone. 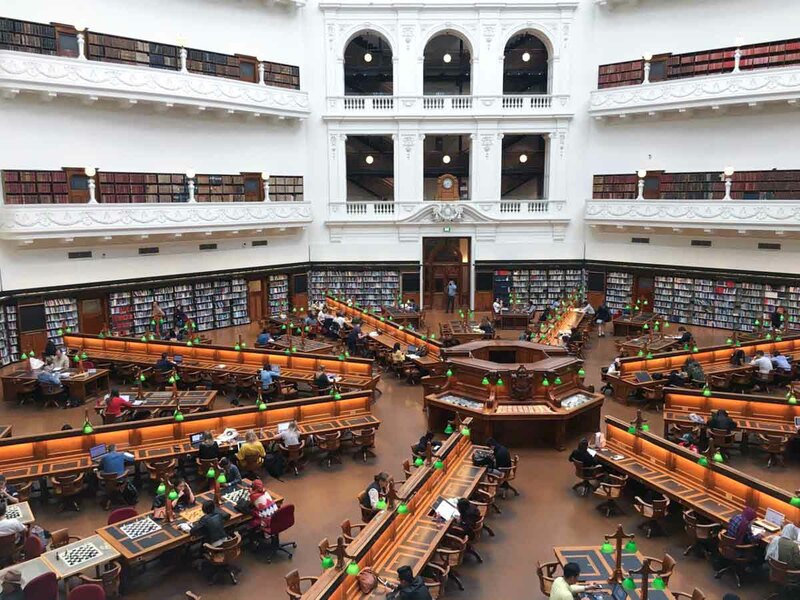 First stop, check out the iconic Victoria State Library — the oldest free public library in Victoria with a collection of over 2 million books. The library’s domed ceiling also makes the place a good photo spot. Start your day exploring the scenic streets of Melbourne. 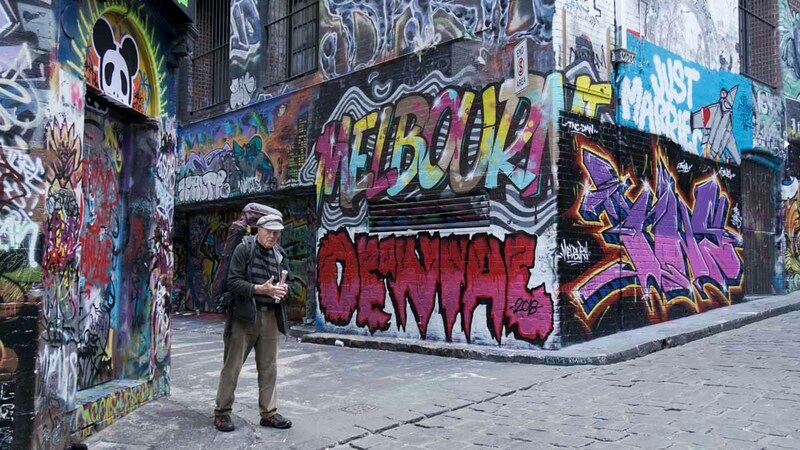 If you’re into street art, one of the most famous is probably Hosier Lane — decked in ever changing graffiti, created by both international and local artists. Drop by for a quick photo stop or have a meal at the cafes and restaurants in the area. 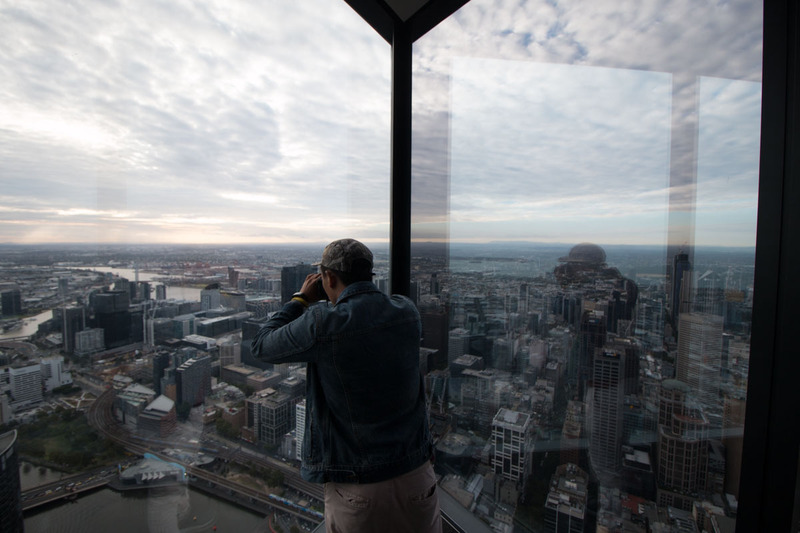 For a 360° view of the city, get on the highest public vantage point in the Southern Hemisphere, the Eureka Skydeck. 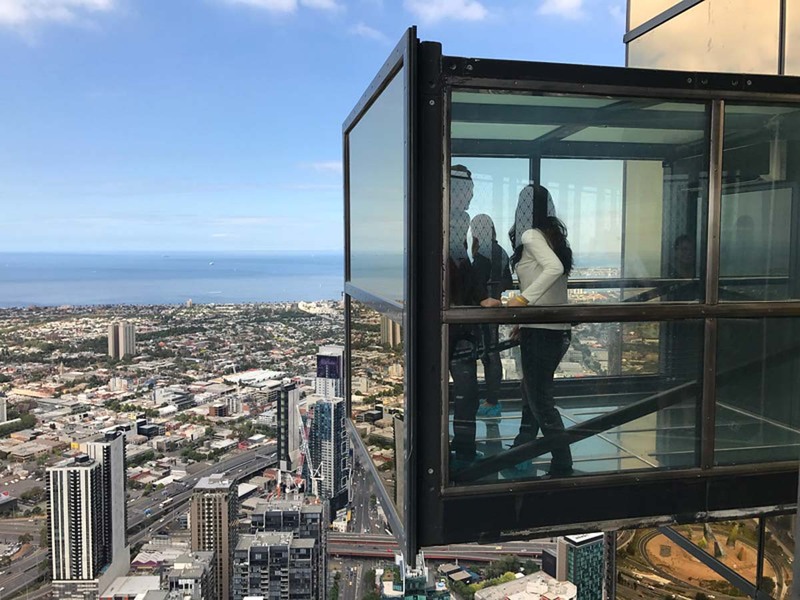 Explore Melbourne city through the telescopes on the observation decks, and check out the world’s only The Edge Experience that suspends visitors 300 metres above the city in a glass cube! 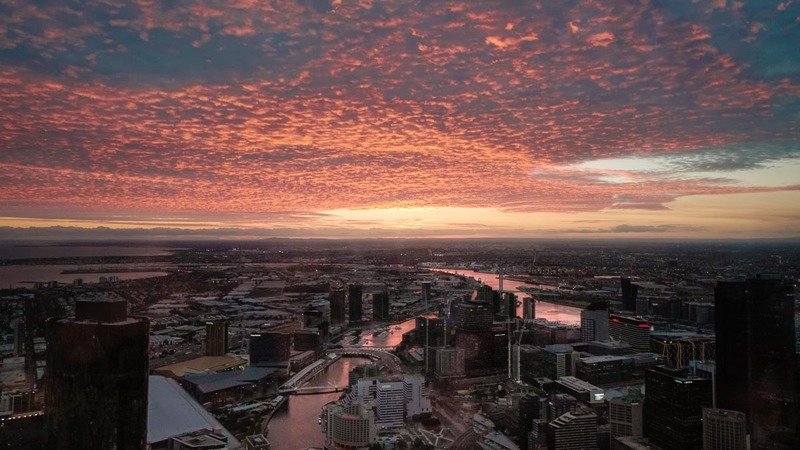 The Eureka Skydeck is also a great place for catching the sunset over the city. Make sure to arrive at least 1 hour before the sunset to secure a good spot on the west side overlooking the Yarra River. 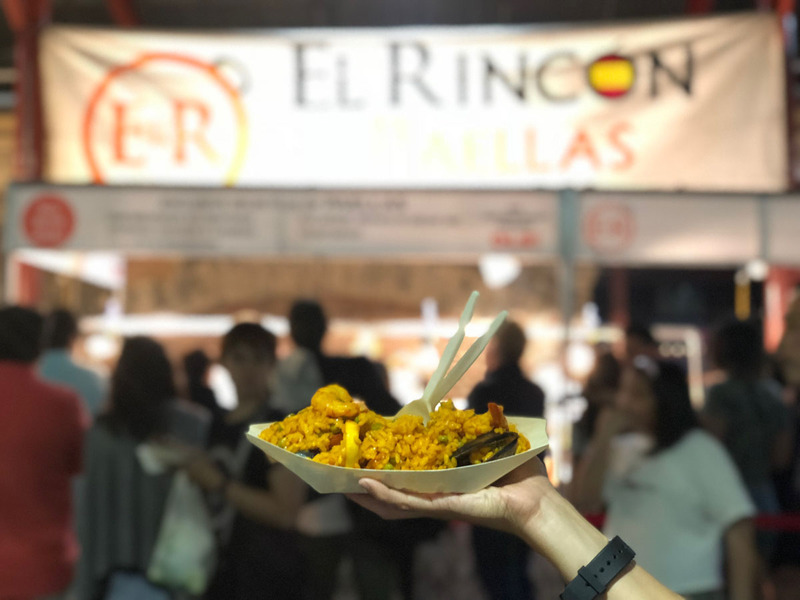 The Queen Victoria Night Market only comes alive every Wednesday so try to plan to be in the city on this day! Lined with food stalls and shops selling trinkets and clothing, this is a great place to hang out while enjoying the live entertainment; or you could also play a game of chess on the life size chess boards on the ground. If you’re not in on a Wednesday, fret not! 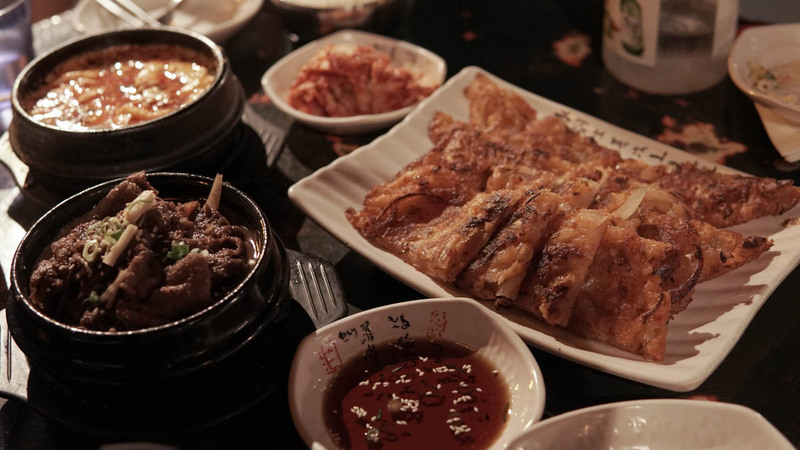 A favourite Korean place amongst many locals is Joomak — a Korean style pub that serves authentic Korean food in Melbourne CBD. The free flow kimchi here is to die for and the food comes in generous portions. We ordered a kimchi pancake, sundubu ji-gae (tofu-stew) and a small portion of bulgogi (BBQ marinated beef), along with a bowl of rice — which had the 4 of us stuffed. 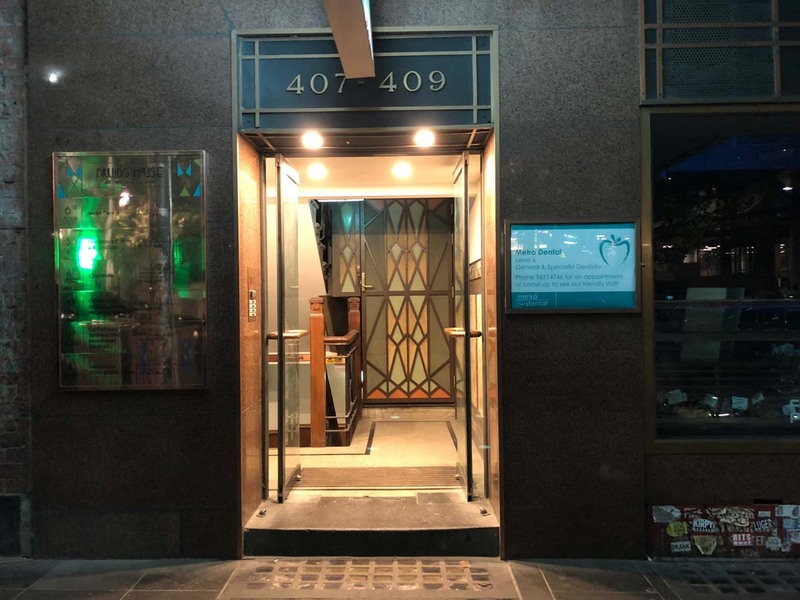 Turn in, and head down the stairs to the basement where the restaurant is located. To save on transport, pick an accommodation within or on the outskirts of the CBD. 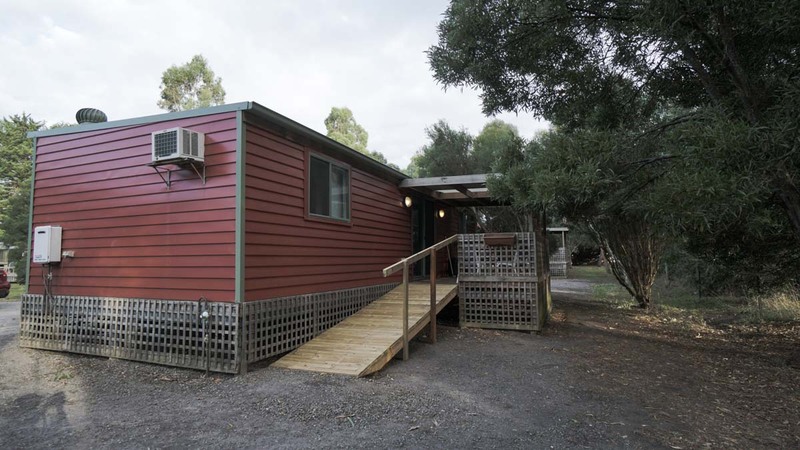 We found options on Airbnb that cost ~AU$50/pax. There’s also hostels within the same area for ~AU$30/pax. 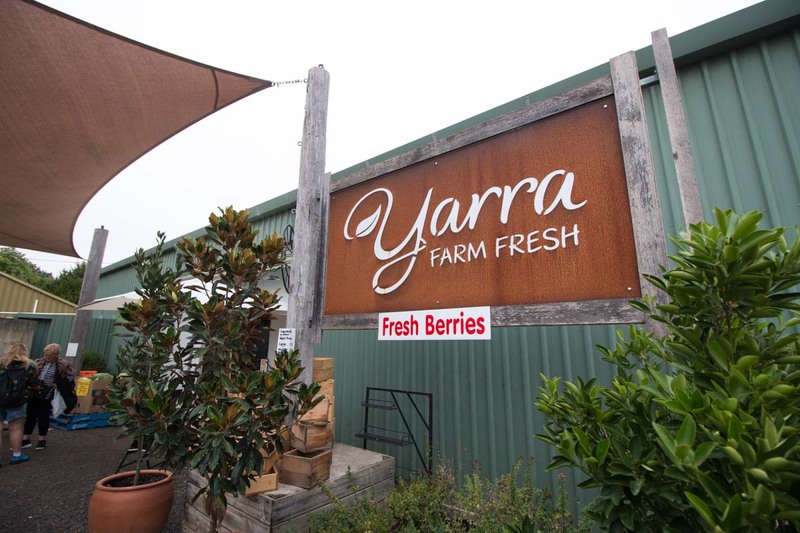 For the wine lovers, Yarra Valley is just 1 hour from Melbourne city and home to over 50 wineries and farms. 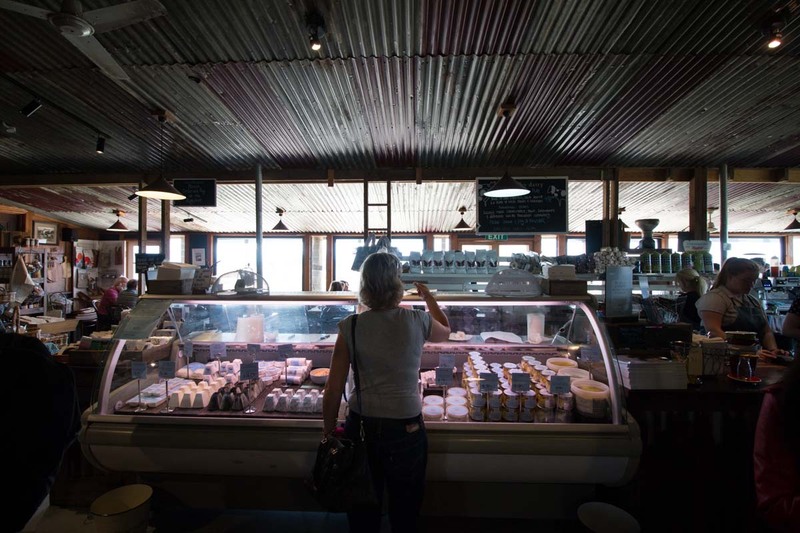 Apart from wine you’ll also get to try the locally grown fruits and a wide array of freshly made cheese. 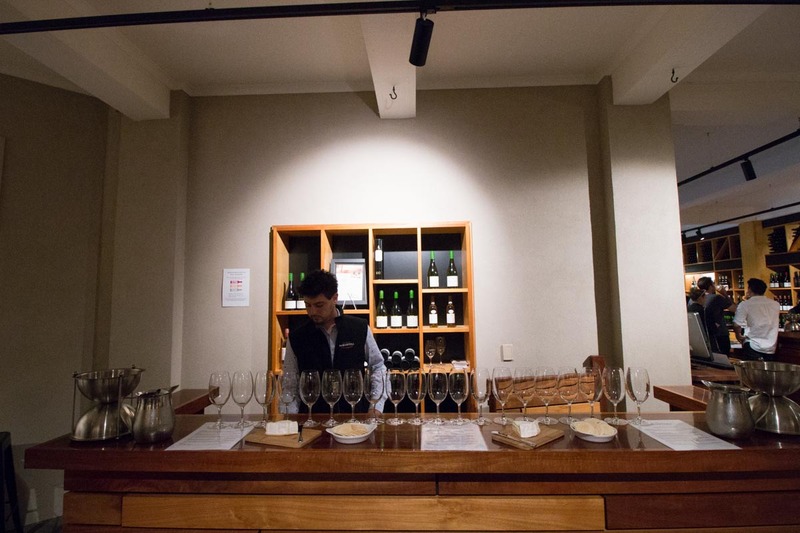 We visited De Bortoli, Yering Station for wine tasting (AU$10 – 15), made a quick stop at Yarra Valley Dairy for cheese tasting before having lunch at Rockford. Have a sweet ending at the Yarra Valley Chocolaterie, where you can taste a wide variety of chocolate and a generous serving of gelato at the gelato shop. 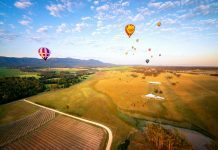 For those who don’t drive, there’s also an all inclusive Yarra Valley tour (~S$136) which includes doorstep pick up from your accommodation and all the delicious wine and food you’ll get to experience at Yarra. If you love Mexican food, Mamasita is the place to be! 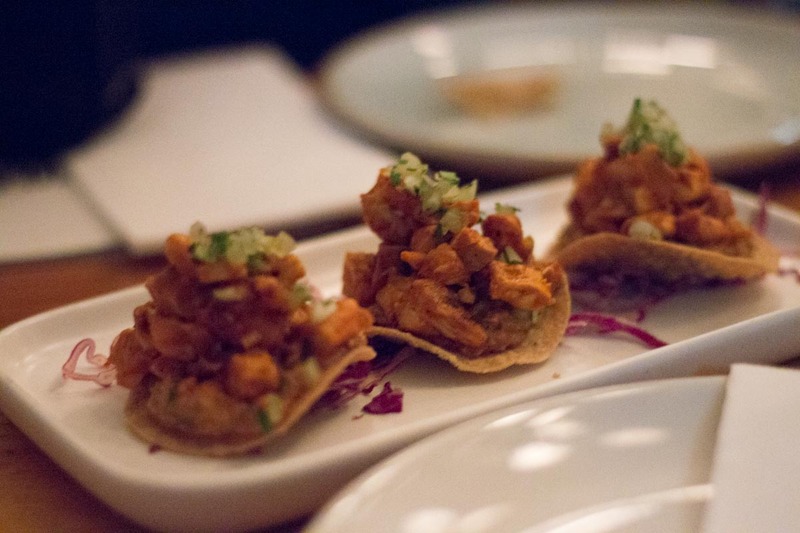 This popular restaurant in the CBD serves delicious tacos and a killer Margarita (AU$69/jug). It’s a tad pricy but the quality is well worth it. We ordered corn chips with guacamole and salsa (AU$12), some tacos (~AU$7.50), quesadillas (AU$ 16 –17) and we enjoyed every single dish. *Pro-tip: Avoid peak hours or make a booking beforehand as it gets very crowded during dinner time. 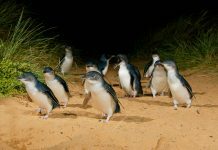 Famous for the adorable penguin parade that happens every night, Philip Island is a must-visit when you’re in Melbourne! 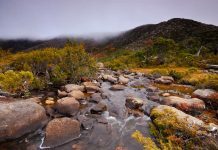 It’s a 2-hour drive south-east of Melbourne with lots to check out along the way! 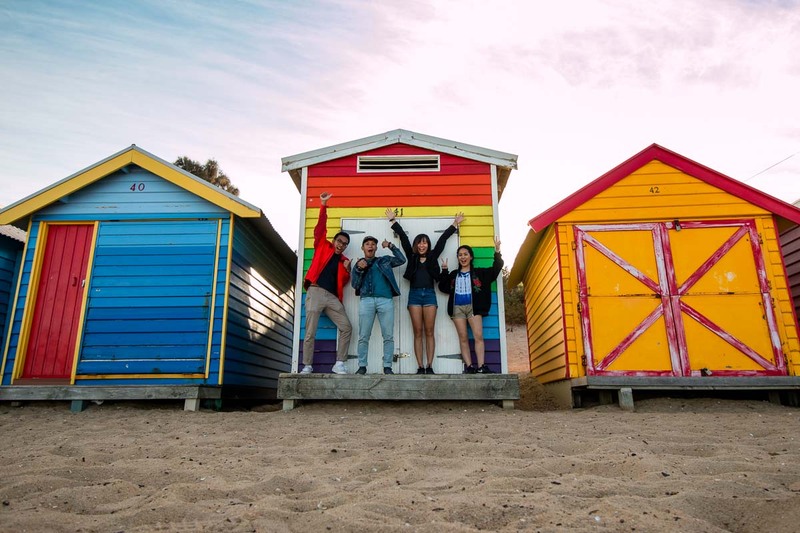 These colourful bathing boxes on Brighton Beach is a well known icon of Melbourne. 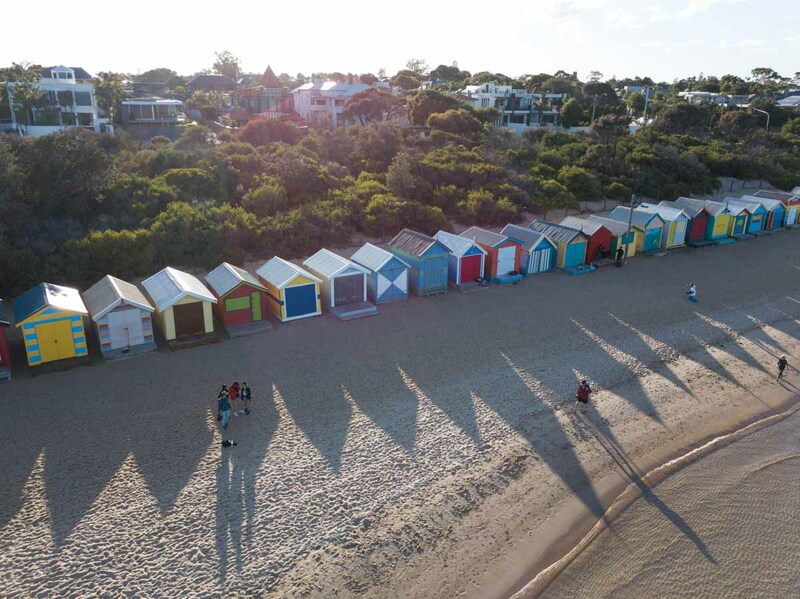 Snap pictures with the numerous bathing boxes along the beach while enjoying the sea breeze and watch many dog owners play with their fur babies. The beach is a quick stop before heading out to Phillip Island as it is along the way. You can watch the sunrise at the beach while having breakfast before heading out to Phillip Island. Parking: AUD $5.30/hour (8AM – 8PM daily) — Remember to pay for parking at the machine. You WILL get fined if you do not pay for parking. The machine does not dispense change, so put in the exact amount. *Pro-tip: Arrive before early as parking is only required between 8AM – 8PM. 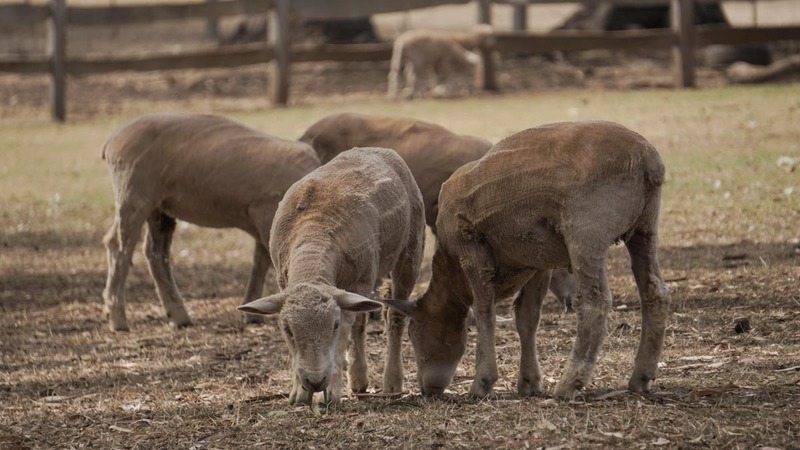 Check out farming activities at the Churchill Heritage Farm such as cow milking and sheep shearing which will definitely be a hit with the young ones. Enjoy a quick cuppa at the cafe before heading off to the next stop! 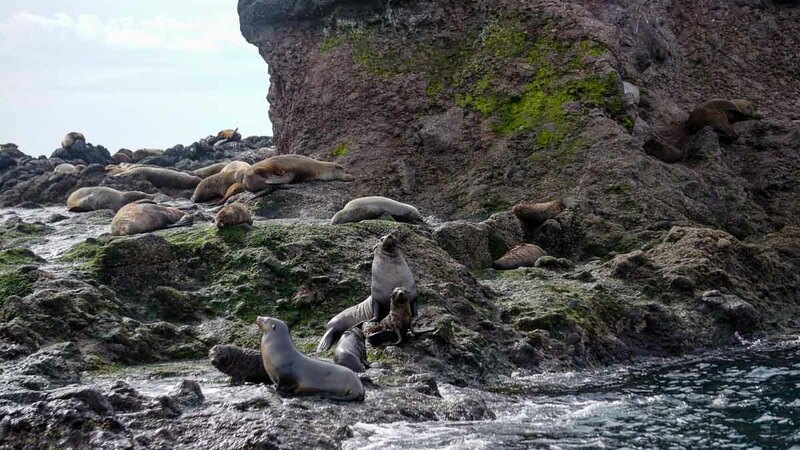 EcoBoat Adventure: Sign up for this 90-minute high speed boat tour that will bring you up close with one of the largest fur seal colonies in Australia. Departure Time: Tours run at 1PM, 3PM and 5PM daily but departure times vary so be sure to check before booking! 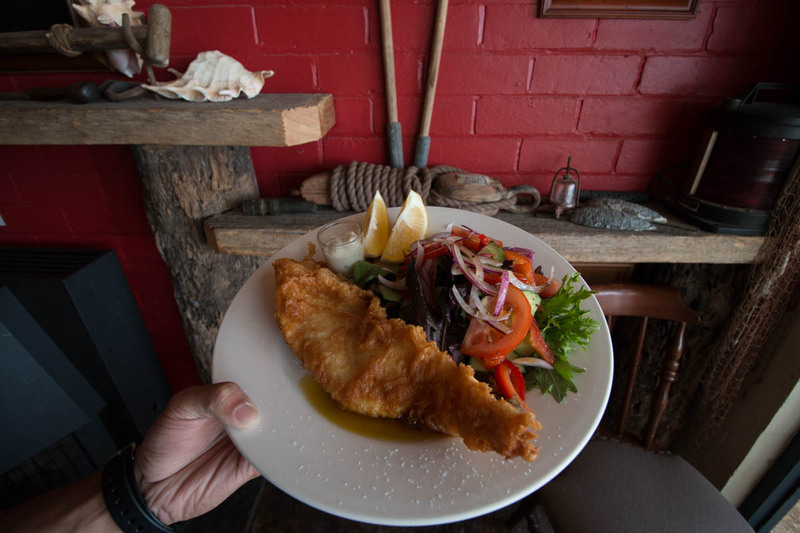 Located just 5 minutes from the Rhyll jetty, Tides of Rhyll is a perfect spot to have a meal before or after the Eco Boat Tour (though you might want to have your meal after the tour because the boat ride is pretty rocky). 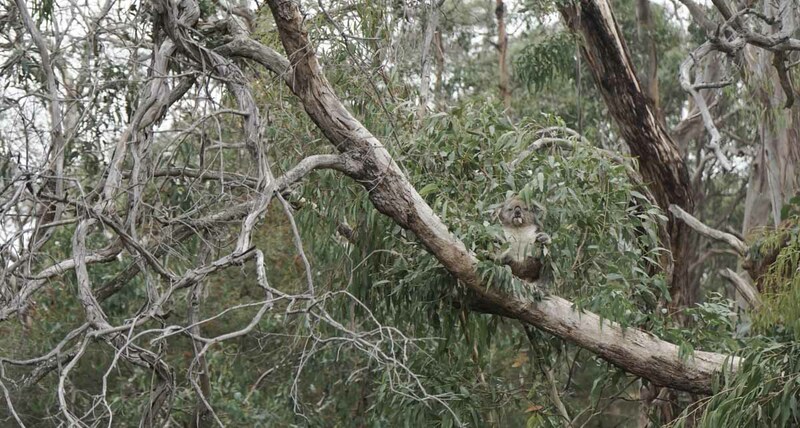 Get personal with Koalas in this Eucalyptus tree-filled woodland. The Koala Conservation Centre plays host to a conservation program that helps save these important animals. Visitors will get an opportunity to go on a ranger-led tour for insights to these Australian icons. Take a walk down the boardwalk at the Nobbies to see the beautifully rugged coastline and if you’re lucky, you might spot some penguins beneath the boardwalks! 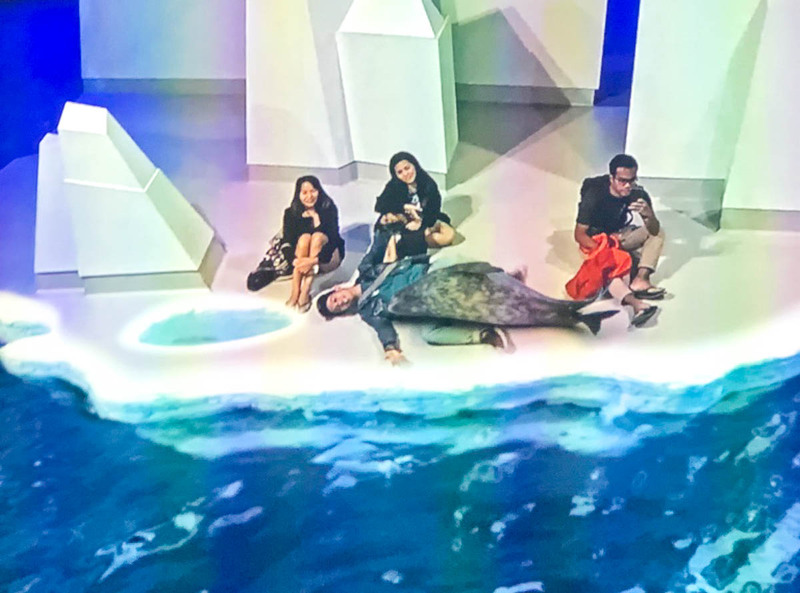 Head into The Nobbies Antarctic Journey for an interactive lesson on the Southern Ocean and Antarctica. This is a great place for children and they will love it. Stop by the cafe for a quick refreshment before heading out to the penguin parade which is just a 5 minutes drive away. 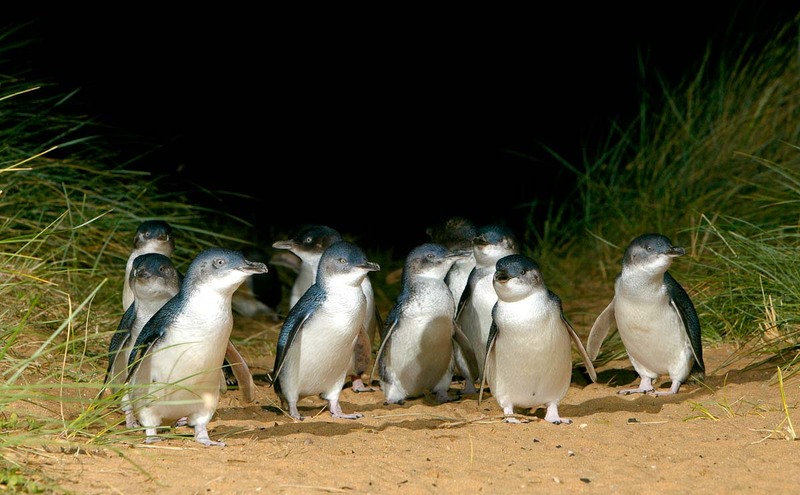 End your day watching the little Penguins waddle back into their burrows after a long day of fishing. The main viewing area has elevated seating that gives a 180 degree view of the Beach. 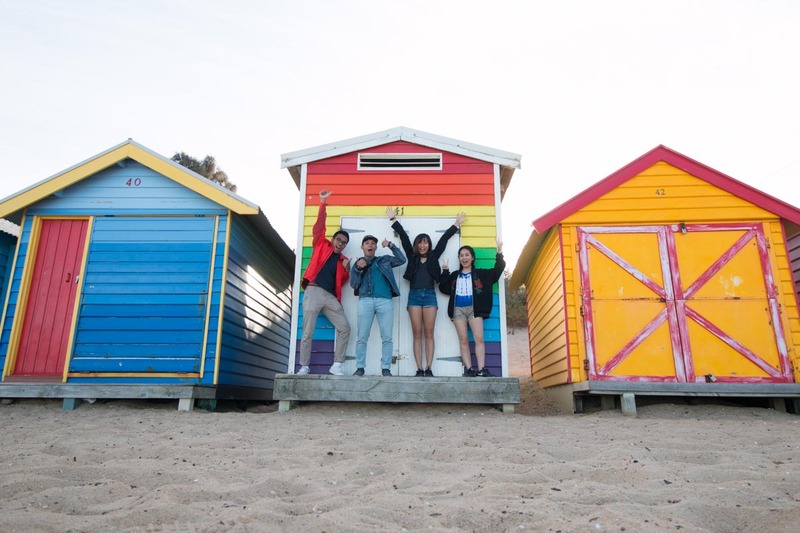 *Pro-tip: Get a Philip Island Combo ticket for cheaper rates to 3 or more of the activities mentioned above! 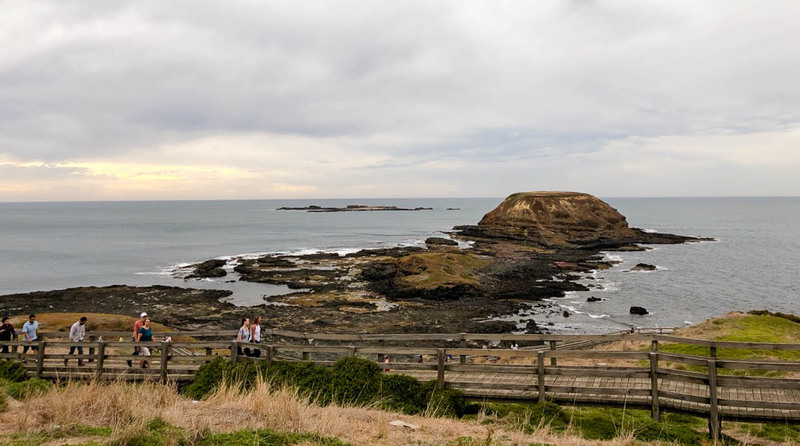 For a full day itinerary on Philip Island, check out our complete Philip Island Guide. 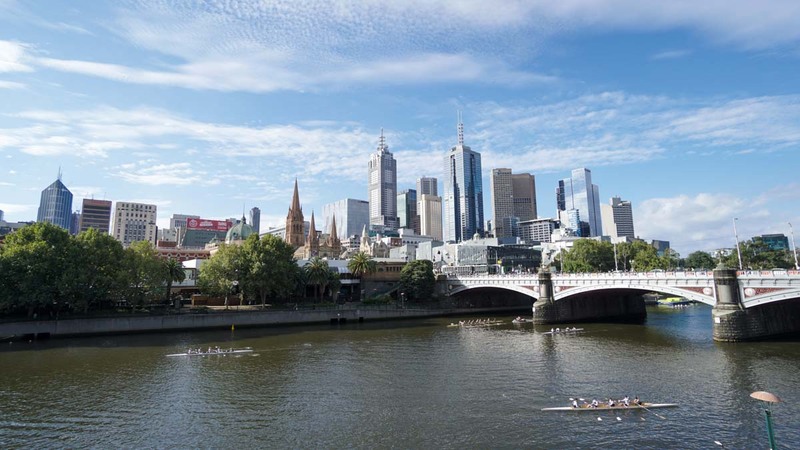 You can opt to stay slightly outside of Melbourne city as it would be cheaper. We stayed in the Chadstone area. 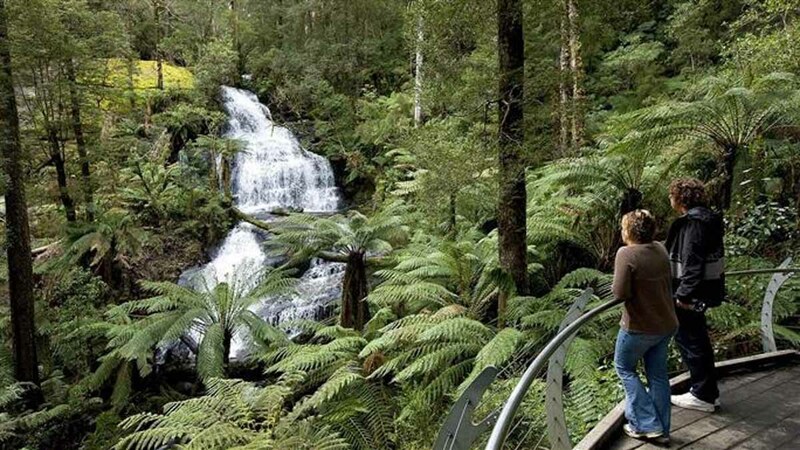 For zipline adventures, head to Otway Fly Treetop Adventures for a 2.5 hour tour zipping through the leafy treetops of Otway. Although the tour opens regardless of rain or shine, it does not operate in severe weather conditions such as lightning, storms and high winds. Allocate at least 2 days in Otway so you’ll be able to reschedule the tour should such conditions occur! 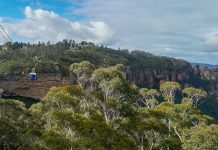 Alternatively, there’s also a 25 metre-high tree-top walk where you can get a bird’s eye view of the region’s flora and fauna. The walk takes about 1 hour to complete, and just like the zipline tour, does not operate in severe weather conditions. *Pro-tip: Definitely pre-book this activity on Klook to enjoy up to 40% off! 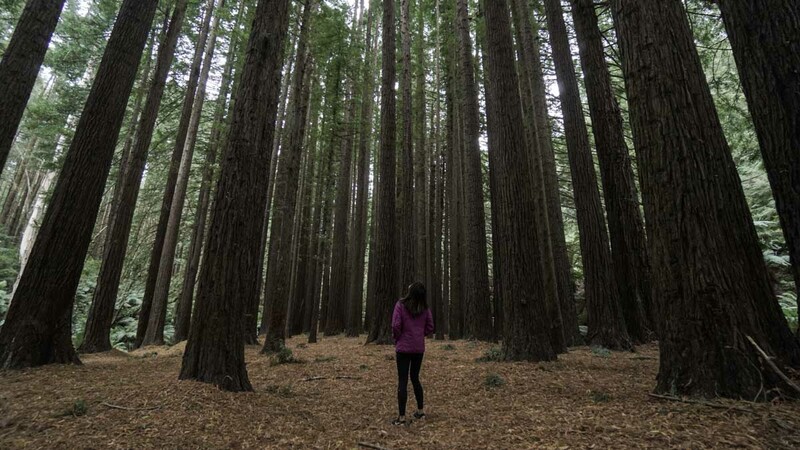 Filled with Sequoia trees, the California Redwoods is a unique stop on this road trip. True to its name, the trunks and branches of the trees have a reddish hue to them. Stop by for a morning stroll into the woods and be sure to snap some pictures of this magical place! Be careful of fallings branches, especially when it’s windy. There’s also picnic tables outside the forest and a great place to stop for lunch! 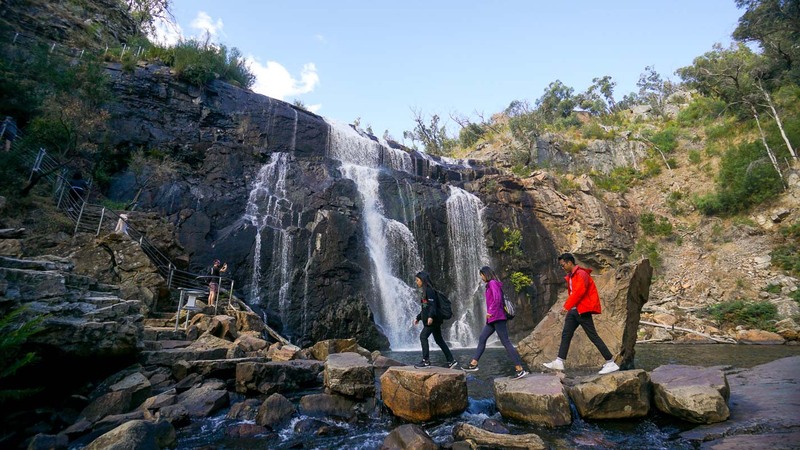 You can see the waterfalls from a viewing platform just 20 metres from the carpark but if you’re extra adventurous, it’s a 30 minutes return route to the base of the waterfall. If time and weather permits, you could also check out Beauchamp Falls and Triplet Falls. 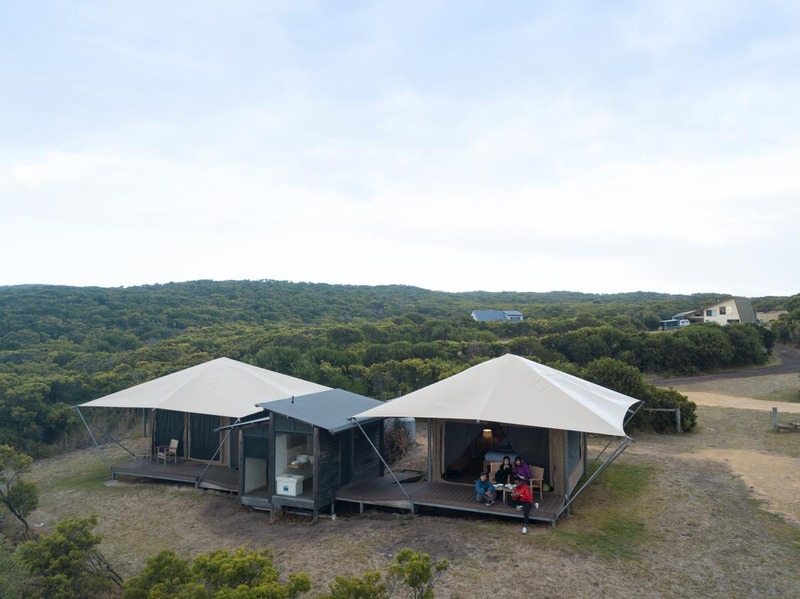 For this day, you can either stay in Otway National Park for 2 days or stay in Otway for one night and move on to Port Campbell/Apollo Bay for the second. 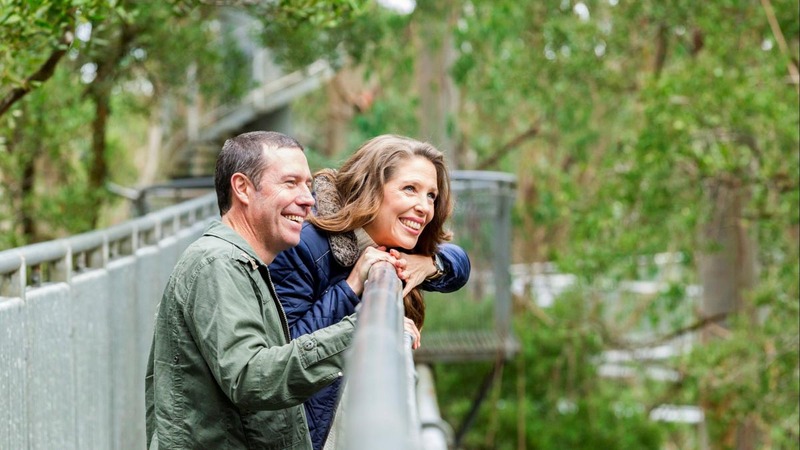 Pros of staying near Otway Fly Treetop Adventure is that you’ll have an additional day to check in on the zip line and tree top walk should the weather be against your favour on the first night. 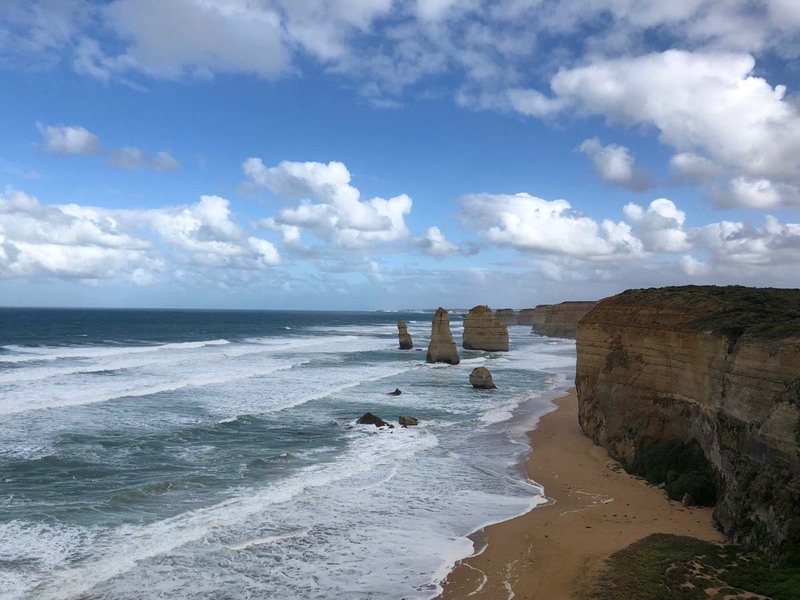 Of course the con is that you’ll have to drive about an hour to get to the Twelve Apostles the next morning so we have provided 2 other options which are nearer to the Twelve Apostles. 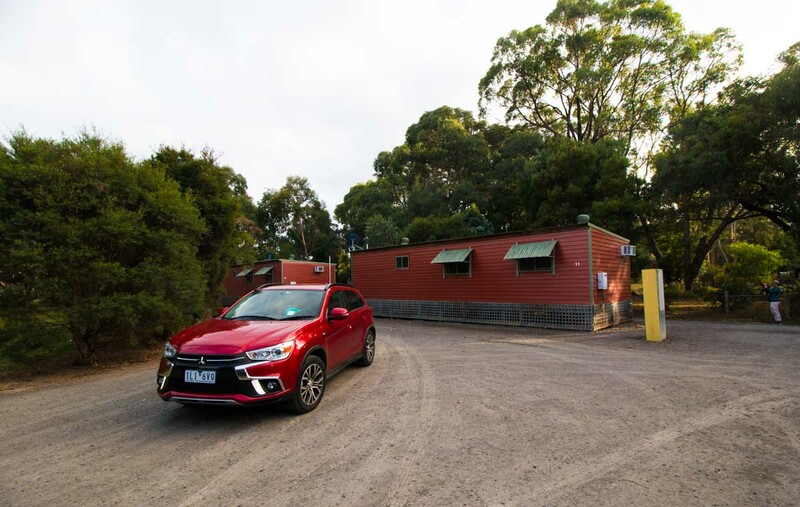 1) Otways Tourist Park: Located just 20 minutes from the Otway Fly Zipline and Treetop activity centre, the various en-suite cabins at Otways Tourist Park can accommodate 2, up to 8 people. 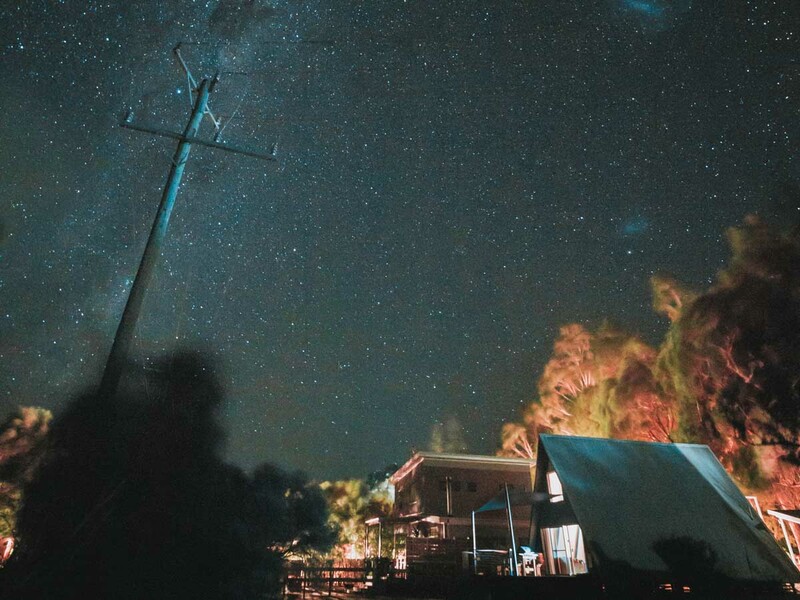 2) Pebble Point: For nature lovers, a night at this glamping spot in Pebble Point is an experience you might want to check out! Each cosy tent sleeps 2 (max 3) and comes with an attached bathroom. The heated bed was so comfortable we had major problems getting up the next morning! There is a common kitchen stocked with common condiments to prepare dinner. The down side is that the nearest town of civilisation is in Port Campbell which is a 20 minute drive should you need any supplies. Connectivity is also barely existent so do get your maps pre-loaded and let your loved ones know you haven’t fallen off the face of the earth! 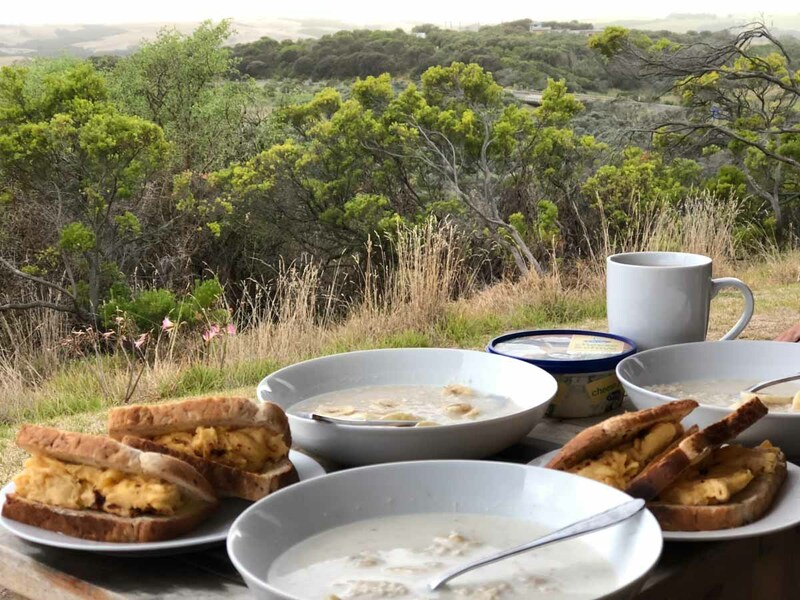 3) Port Campbell Hostel: Lastly, there’s a hostel located in Port Campbell — a small town just 10 minutes from the Twelve Apostles. Here there are 2 – 6 bed private en-suite rooms and mixed-gender dorm rooms with 4, 6 and 10 bed configurations. Of course the downside for options 2 & 3 is that you’d need to drive 1 hour to Otway Fly Treetop Adventures should you decide to shift your zip line activity booking. Drive Time: ~3 hours (if staying at Port Campbell/Pebble Point), add 1.5 hours if driving from Apollo Bay. Get up close with Gog and Magog — the 2 huge limestone stacks that rise up from the sea, here at the base of Gibson Steps. These 2 limestone stacks are not considered part of the 12 Apostles, but are still a sight to behold. 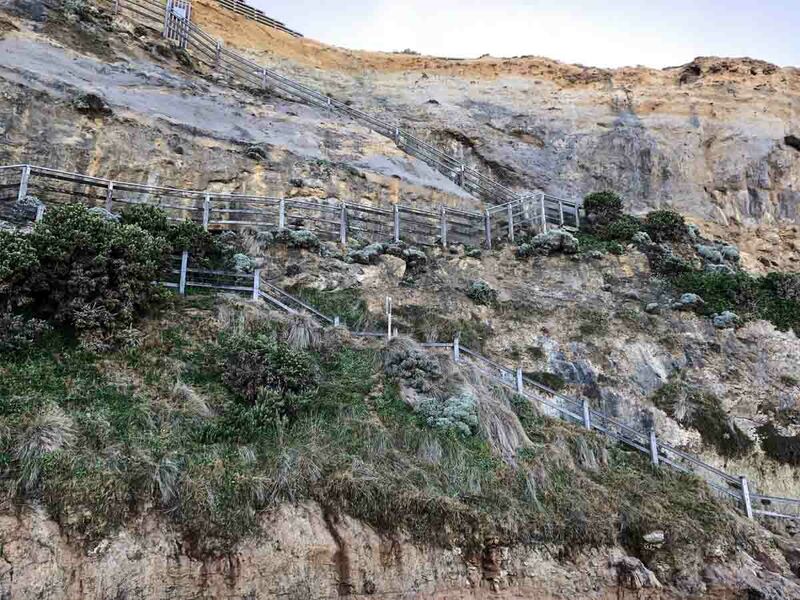 You can view them from the viewing platform or make your way down the 86 steps to the beach for a closer look. Be prepared to get a little wet as the waves are unpredictable! There is a designated carpark just a short distance of 30 metres away from the viewing platform. 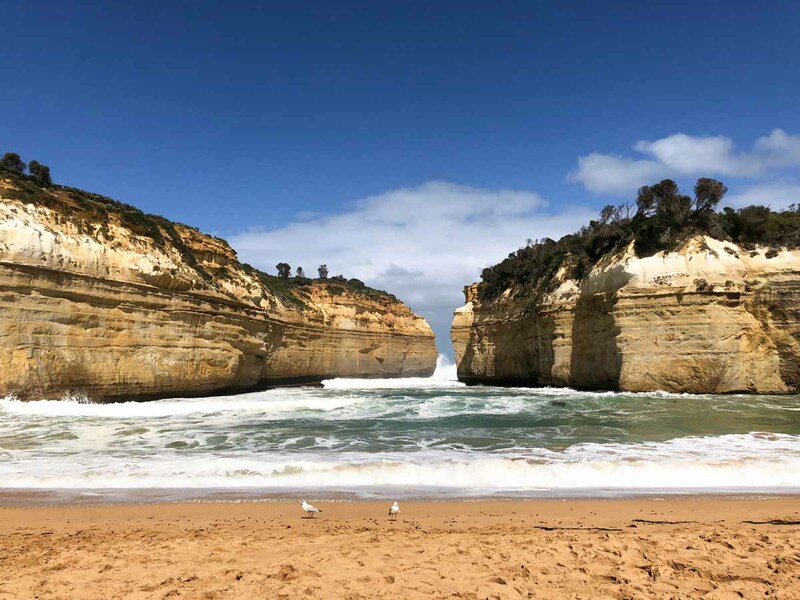 Possibly the most iconic attraction of the Great Ocean Road, the 12 Apostles are made up of rock stacks created by the erosion of limestone cliffs from the mainland. You may want to use the toilets here as there will not be another one at the other lookout points! Named after the famous 1878 shipwreck on nearby Mutton Bird Island, there are numerous limestone structures here to be marvelled at. 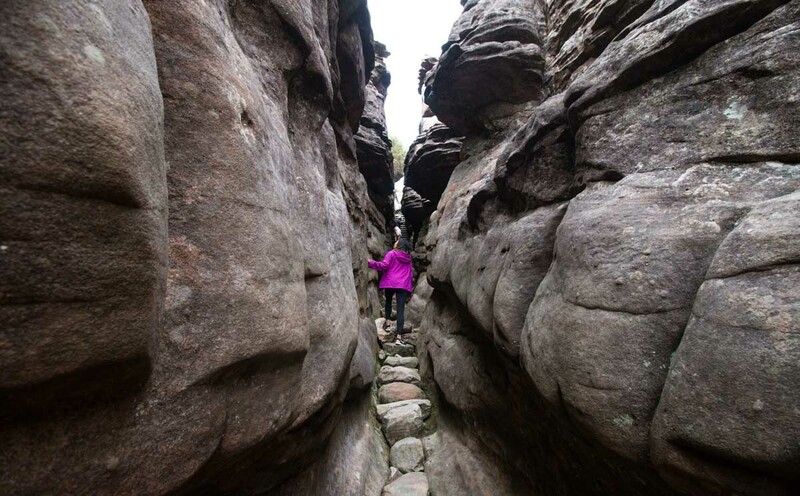 Explore the numerous trails while learning the rich history of various rock stacks like the Razorback. The Arch is best viewed from the platform during rougher tides. Watch the waves crash in and around the arch creating a mini waterfall that forms underneath The Arch from the huge waves! As its name suggests, London Bridge used to be a bridge connecting the archway to the mainland but collapsed unexpectedly in 1990, leaving 2 in need of a helicopter rescue. Visitors used to be able to walk across the eastern span before the collapse but fret not, because you can still witness its beauty from the two viewing platforms. 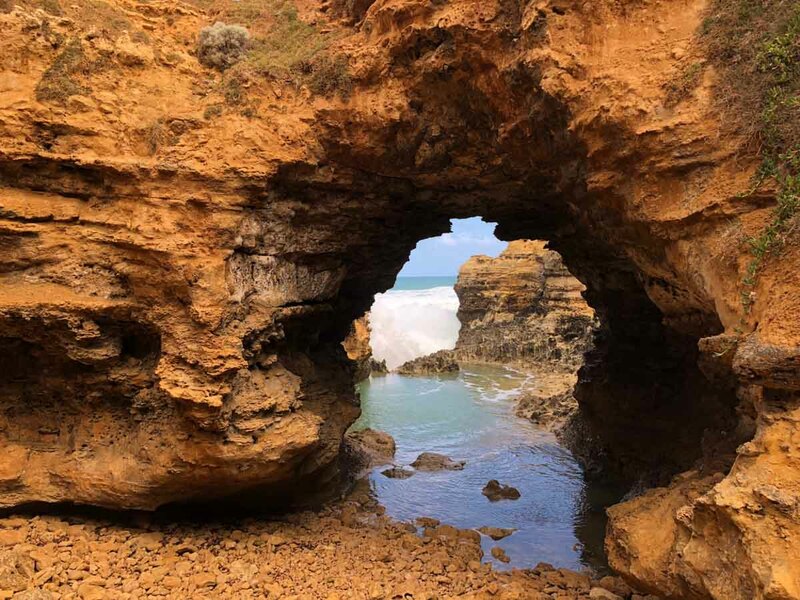 Perhaps the best spot on along the Great Ocean Road is the Grotto. 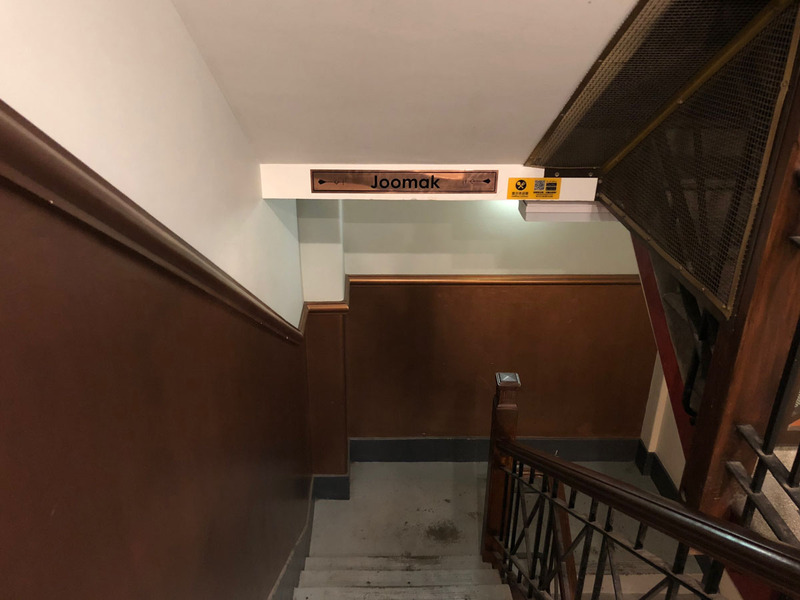 This geological formation is easily accessible down a small flight of stairs. Feel the calmness brought about by the archway of The Grotto, in contrast to the crashing waves at the other end of the tunnel. An all-in-one store, Frying Nemo is a small section of the Port Campbell Fuel/Fish and Chips shop. The servings are huge and well worth your money! We got 2 portions of minimum chips (at AU$ 3.00 per portion) and it was way too much for the 4 of us. 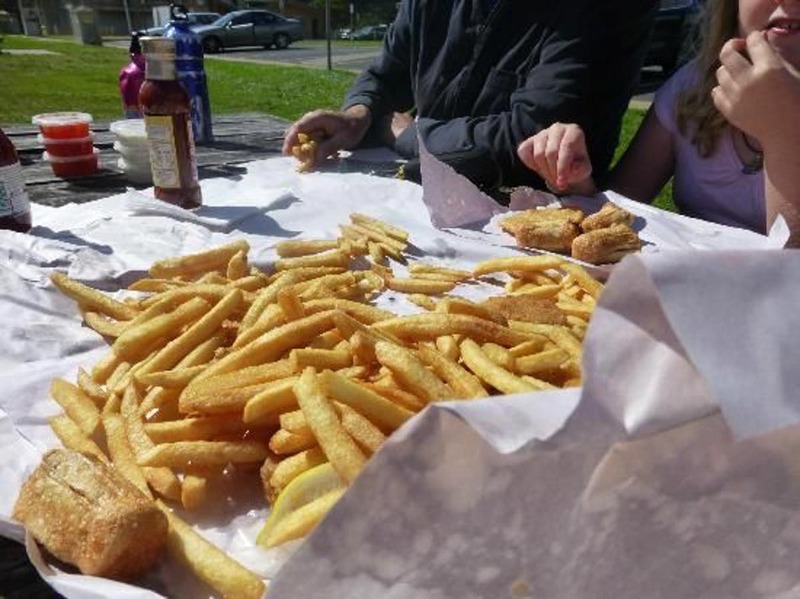 As they only do takeout, get your favourite fish to go, and have your meal by the Port Campbell Beach like we did! The sauces will cost $0.50 each but we highly recommend the garlic aioli. 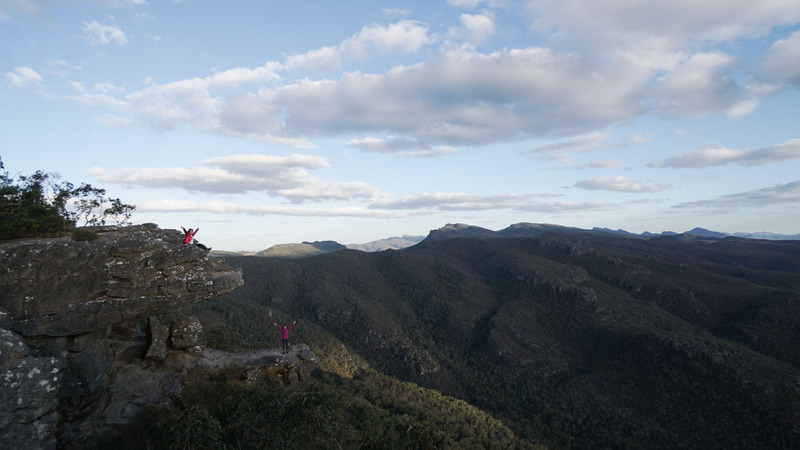 Drive up 2 hours to Halls Gap since you’ll be exploring the sights here the next morning. Stay here for 2 nights. 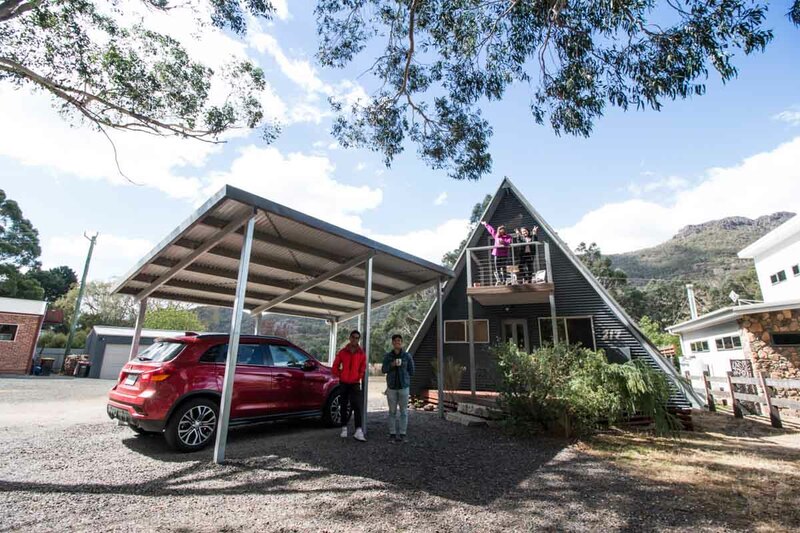 There are many accommodation options at Halls Gap but one of the most unique ones we found in this area was the A-Frame house. It had one bedroom below (en suite with a Jacuzzi! ), 2 single and a double bed up on the loft, a fully stocked kitchen as well as a spacious living area. Wild kangaroos are also known to hang out in the backyard so if you’re lucky, they may come say hi! At night, don’t forget to check out the view outside. If the skies are clear, you might even catch a shooting star or two! One of the largest falls in Victoria, MacKenzie Falls flows all year round down a steep cliff. 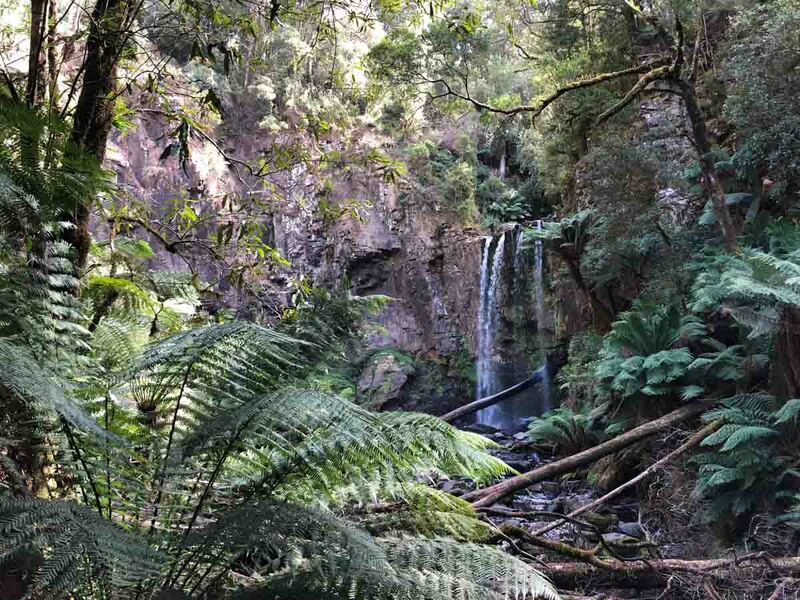 Take an easy one kilometre walk to Bluff Lookout, or down a steep trail down to the base of the waterfall. The steps can be quite steep but we promise, the view is worth it! Be careful while going down the steps as some of them are narrow and might be slippery. Also known as Jaws of Death because the structure resembles the jaws of a T-rex, The Balconies offer a panoramic view of the lush mountains. 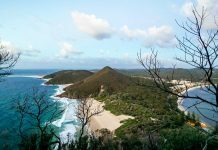 Take an easy two kilometre stroll along the path leading towards the lookout, and be awed be the stunning rock formations at the end of the path. 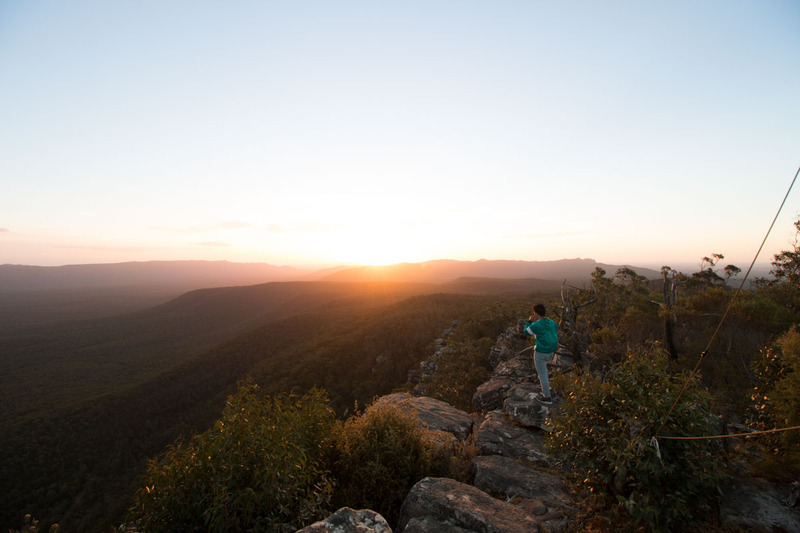 From the same carpark as The Balconies, follow the path up the sealed road to the summit of Reeds Lookout and enjoy the scenic views of Victoria Valley. Reeds Lookout is a fantastic spot for catching the sunset and it was truly one of the best sunsets I have seen in my life! Do leave before the sun completely sets as it gets very dark, and can be quite a challenge to drive out. There are a few paths one can take to reach the peak of The Pinnacle. 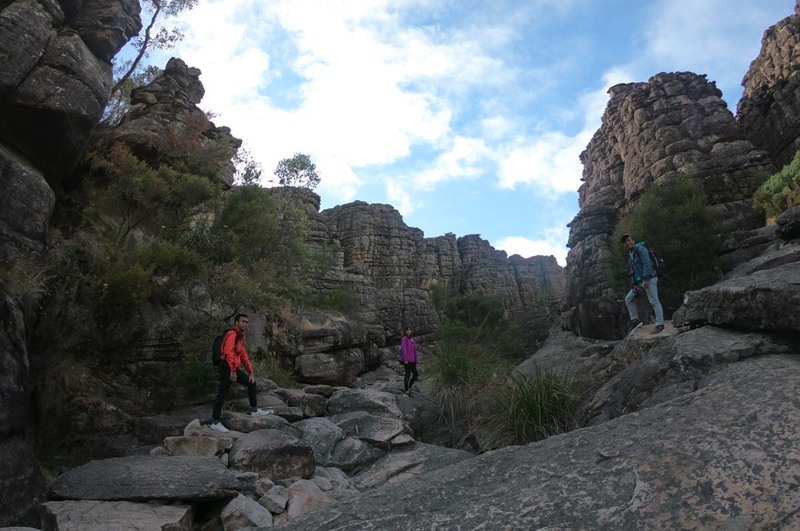 We chose to hike up The Pinnacle via The Grand Canyon, starting at the Wonderland Carpark. The Grand Canyon is a trail within a picturesque valley that would have you stopping for pictures almost every minute. Although the trail was pretty rocky, it was still a pretty well paved out walkway. *Pro-tip: Wear shoes with better grip. Even though there are man made pathways, there are still areas that are rocky and not flat. If you prefer an easier hike, start off at the Sundial carpark, especially if you have young children, or ancient knees (like myself). Bring some food along as there are many opportunities during the hike for a pit stop to recharge! 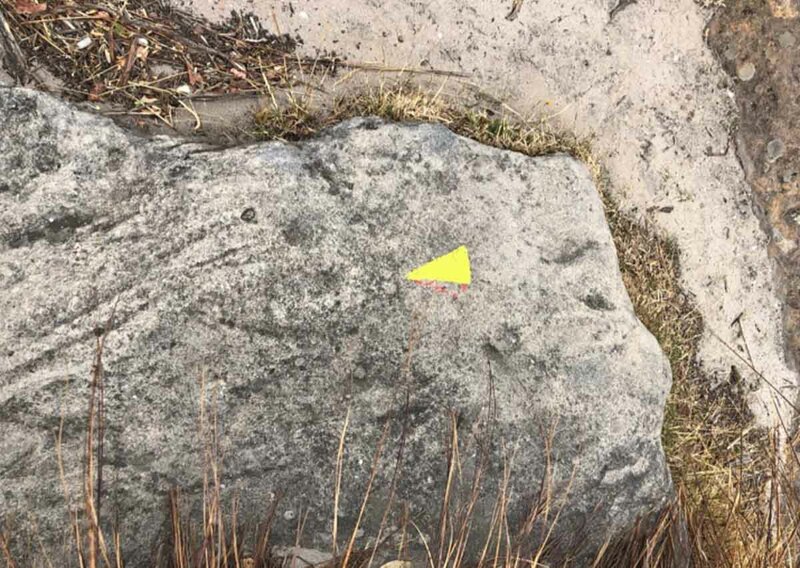 Follow these yellow arrows to find your way to the peak. These are especially helpful if you want to climb in the dark, to catch the sunrise or after sunset. We were pretty lucky this place was open till pretty late since all the other restaurants tend to close around 5 – 6PM. 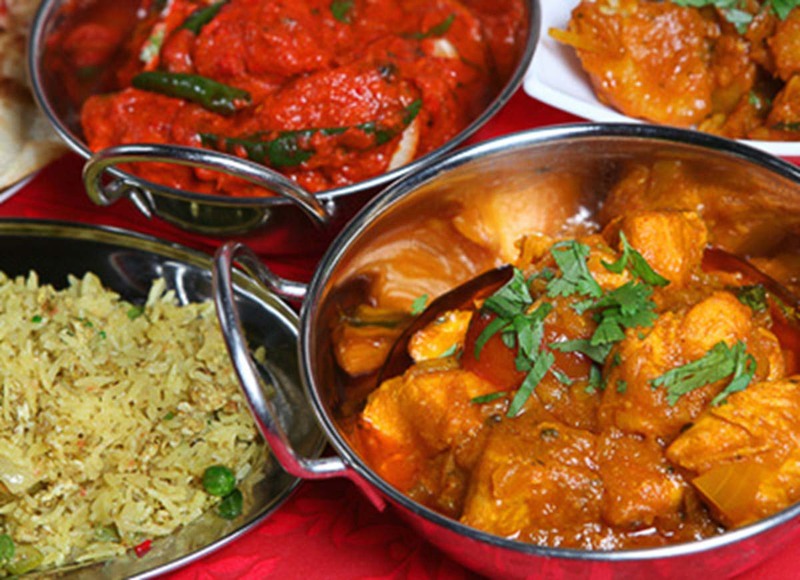 If you’re craving for spicy food, check out this gem of a place at Spirit of Punjab. If you have an evening flight on this day, make sure to buffer a 2.5 hour drive time back to the city. If you’re returning the car straight at the airport, you can return it at anytime. However, if you’re planning to return the car back in the city, most car rental companies have a strict 6PM cut off (not even a 5 minute grace). Try to avoid driving back at peak hour between 5 – 7PM as the jam can cause up to an hour of delay. 1) Groceries: Not only is eating out more expensive, many of the shops outside Melbourne close pretty early and you might find yourself stranded without any dinner. Make sure to find out where the major supermarkets are and schedule pit stops to stock up on food you can cook for dinner and breakfast the next morning. Sometimes, we’d even prepare a packable lunch too. *You might want to keep dairy products off your shopping list unless they can be consumed on the same night. These will most definitely spoil when left in the car for an entire day #truestory. 2) Accommodation: If you’re travelling in a group, apartments are not too pricy and usually come with a fully stocked kitchen so that you can cook your own meals. 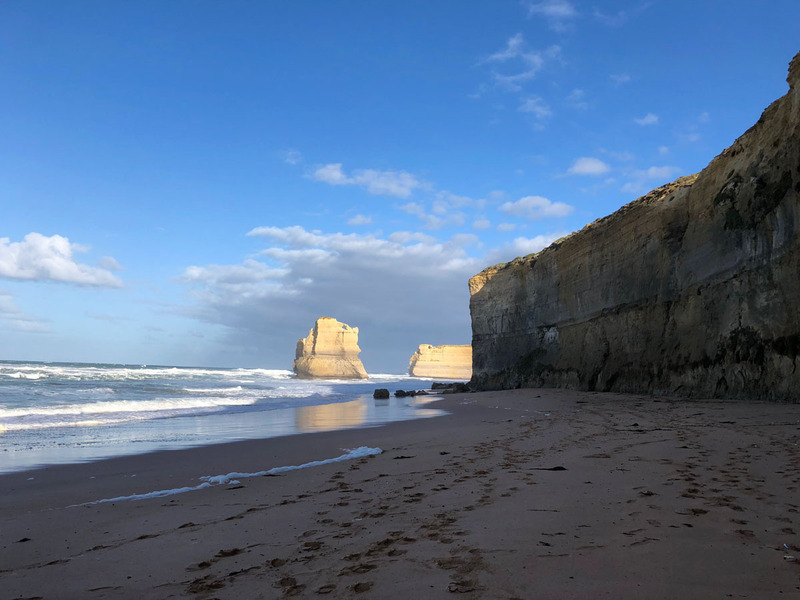 3) Connectivity: Connectivity along The Great Ocean Road and in Grampians can be spotty. Preload your Google maps at major cities in case you find yourself out of service. 4) Flexibility: Do not pack your road trip schedule too tightly as plans might change due to weather and other unforeseen circumstances. 5) Pack lightly: Since you’ll be changing accommodations almost everyday, try not to pack too much for the road! 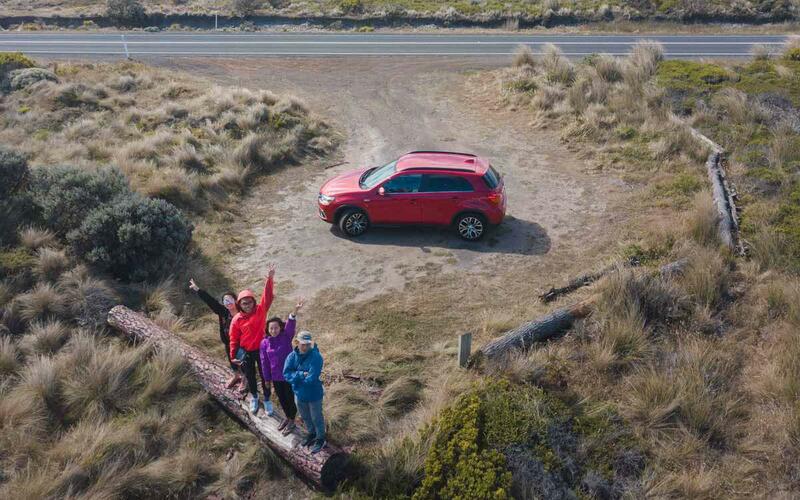 Victoria has such a great mix of urban and natural landscapes we all enjoyed thoroughly on this 8-day self drive. I hope you found this guide useful! Do leave a comment down below if you have any other any recommendations! Follow us on Facebook, Instagram, and YouTube for more travel updates! Nice road trip Around Victoria. Love the itinerary so much! I’ll be going there this coming november with some friends and family members. It’s really helpful as i get more ideas to manage our trip there. Wish me luck.. I love Melbourne city because it is one of the most beautiful cities in the world. I also suggest other people to visit this city I assure you will never disappoint. I check on the GoogleMap, it seems like the inland route is longer than the coastal route ?? Very useful information! Do you think Grampians suitable if I bring my 8 month old baby?